On any trip there are days where regardless of planning things go wrong and there is nothing you can do about it. The target today was a good long walk on Highmoor towards the Giant’s Castle. I woke to find the clouds so low that one would not even know that there were mountains across the valley. I decided to go up anyway but stick to the paths close to the forest station. However, my car decided otherwise. Overnight the battery had gone completely flat (no I did not leave the lights on – I had not even used the lights yesterday). It was gone 1 o’clock before my replacement car arrived. However, despite the frustrations of the morning, I eventually got up to Highmoor for a couple of hours, more in hope than expectation of seeing anything. But despite the short time it was worth the effort, for I soon came across what looked like a pale creamy white version of K. laxiflora but more graceful. I believe it was K. ichopensis that we had spent so long looking for yesterday. I also came across genuine K. laxiflora in the same vicinity so was able to compare the two and note the differences. Then I found a third plant that had the colour of K. laxiflora but some of the characters of K. ichopensis. 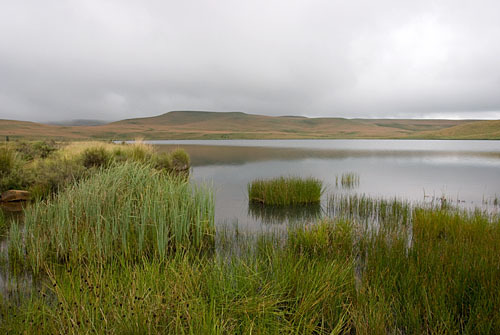 There is a third species that is supposed to occur in this area, K. angustifolia, which it could have been, but equally it could have been a hybrid. As I found more and more examples, the size and shape of the flowers and leaves appeared to vary depending upon where they were growing. The colour seemed to show the full range between almost white and coral-red. I was suitably confused by the end. So in that short space of time, I may have found one, two or three species, and/or hybrids between them. Whatever, they were very attractive plants to look at. 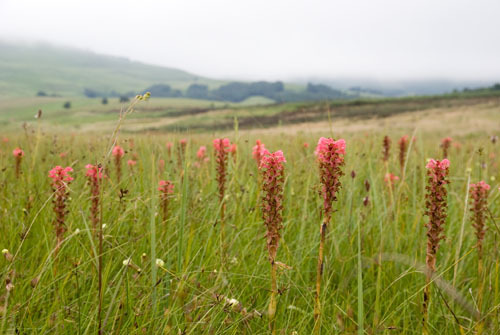 Plant of the day: It is not often that orchids form such a dominant feature of a habitat, but this big bold Satyrium hallackii, almost turned the wetlands below Heronmoor pink they were in such profusion. 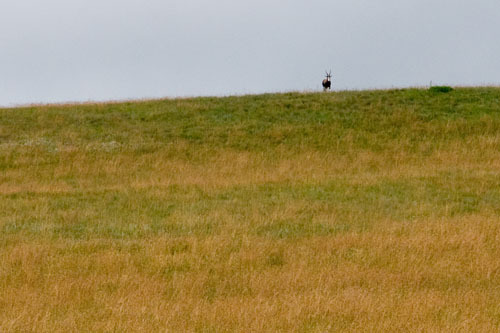 Animal of the day: On top of Highmoor, I spotted this lone Blesbok keeping an eye on me from the horizon. 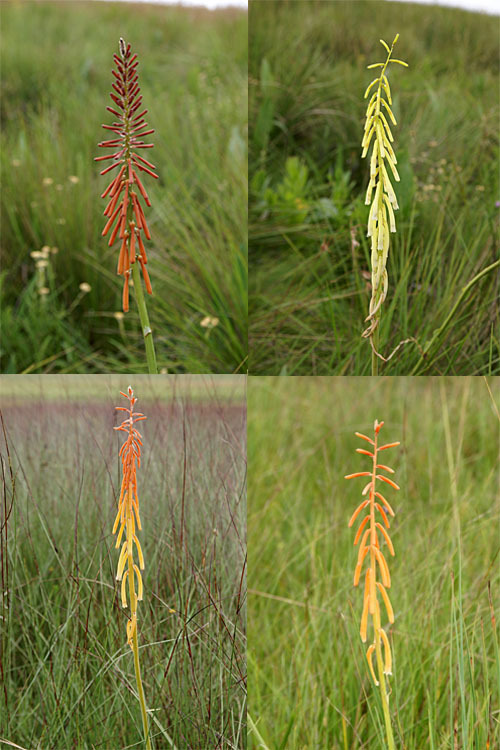 blesbok, Drakensberg, Highmoor, Kniphofia, Kniphofia angustifolia, Kniphofia ichopensis, Kniphofia laxiflora, Satyrium. Bookmark.